This dish is very popular in South India. In different states this recipe is known in various names. 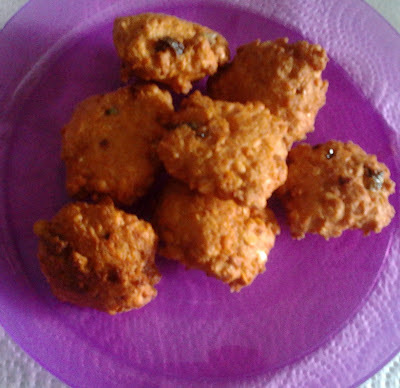 In Karnataka and Tamilnadu, they call it as masala vada. In Kerala, parippu vada and in rest of the states of India it is well known as Dal vada. In Konkoni, they call it as Chet Ambodo. Very delicious snack well known for it's texture and is crunchy outside and puffy inside. You get this snack in almost all the tea stalls of South India. You too enjoy this snack along with hot tea and experience it's awesome taste. Number of green chilies depend on how spicy they are. I am using 6 as mine are not very spicy. For Masala Vada, we add crushed garlic fennel seeds, mint and onion. Optional - Can add 1 onion finely chopped and 3/4 tsp garam masala if needed. Don't add water while grinding. Green Chilies can be replaced by red chilies. If we don't soak chana dal and urad dal for enough time, vada might become hard and very crispy. 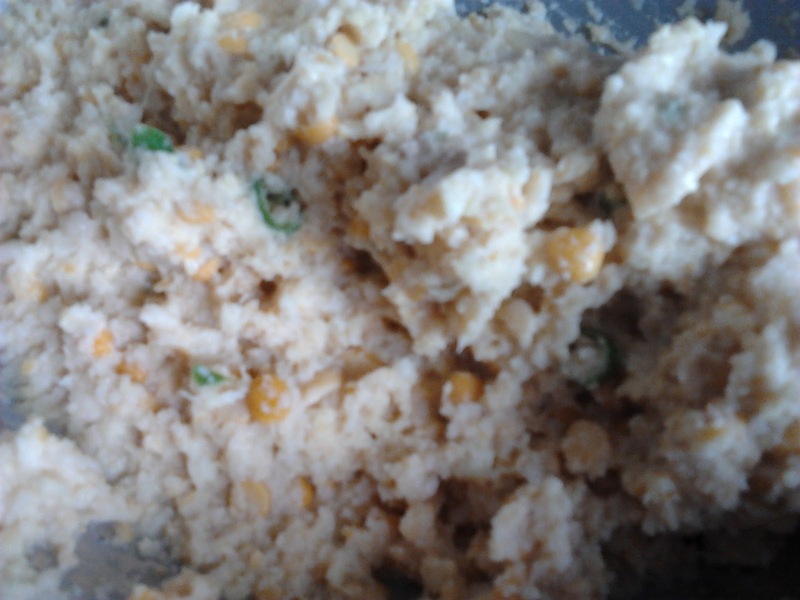 Can add rice flour or semolina/ rava / sooji to make the vada's crisp. These Vada's taste best when they are served hot. Wash chana dal and urad dal and soak with enough water to cover it in a bowl, for about 2 hours. Drain them and make a coarse paste of it in a food processor or mixie. Take a bowl and mix all the above mentioned ingredients along with chana dal and urad dal paste to form a dough, which will be a little sticky in consistency. Make equal sized ball out of the dough and flatten the balls a little bit by pressing them in between your palms. Heat the oil in a frying pan on a medium heat. Slowly drop the flattened vada into the frying pan. Fry the vada until both sides are golden brown. Remove the vada and place over a paper towel. Serve hot with any accompaniment of your choice.